spend living a healthy and productive life. Three ways to easily consume molecular hydrogen to ease pain, reduce inflammation, and fight fatigue. Use the infusion stone to add molecular hydrogen to any drink such as water, tea, coffee, or juice, and to take with you. Utilize the cannula for inhalation of hydrogen gas for fast penetration of the body's vital organs to promote healing and improve function. Use the Applicator Cup to direct hydrogen into joints or muscles for reducing inflammation and providing pain relief. The HydroGenie offers three different methods to receive molecular hydrogen gas. Molecular Hydrogen available immediately for circulation throughout the body. Have you heard about hydrogen water? Hydrogen water benefits health in a lot of different ways. In this guide, you will learn about the amazing ways hydrogen water is changing lives. You will also learn why it is so powerful. What is Molecular Hydrogen? At its simplest, molecular hydrogen is a pair of hydrogen molecules. 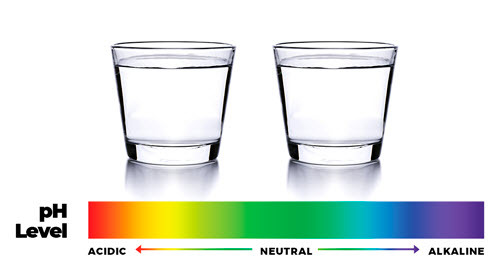 Alkaline Water vs. Hydrogen Water – What’s The Difference? Kangen Water® vs Hydrogen Water – What’s The Difference? Before the HydroGenie I could barely make it up a flight of stairs. I’d have to pause and wait until I had enough energy to complete the flight of stairs. Once I started using the HydroGenie I did not have that problem anymore! Using the HydroGenie I felt immediately like I didn’t need my pain meds anymore. And the healing process was just amazing! Matter of fact when I went back to the doctor two weeks later he was just amazed at how well I looked. Can Molecular Hydrogen Inhibit Cancer Cell Growth?